Seedless cucumber production in high tunnels will be the highlight of this year’s event. You will see 16 cucumber varieties grown in a high tunnel, and be able to taste them. We will share with you yield results of grafted cucumber plants that have started to produce since middle April in an unheated high tunnel. You will also see cucumbers grown in the high tunnels with different pruning and trellising systems. Entomologist Laura Ingwell will join us at the event to discuss cucumber beetle management approaches. 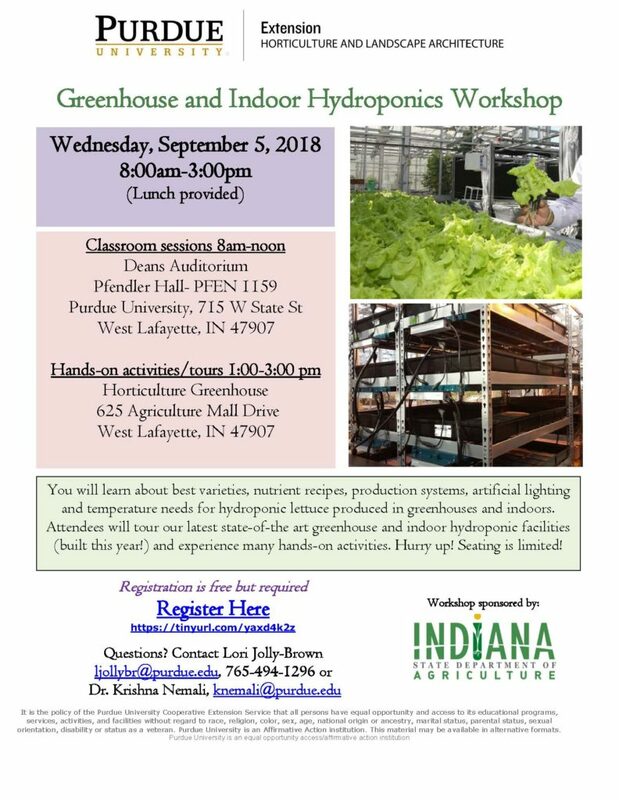 Other things you will see at this event include: summer squashes growing in a high tunnel; different pruning and trellising systems for growing tomato and pepper; annual strawberry production with low tunnel systems. Registration will begin at 6:30 pm. 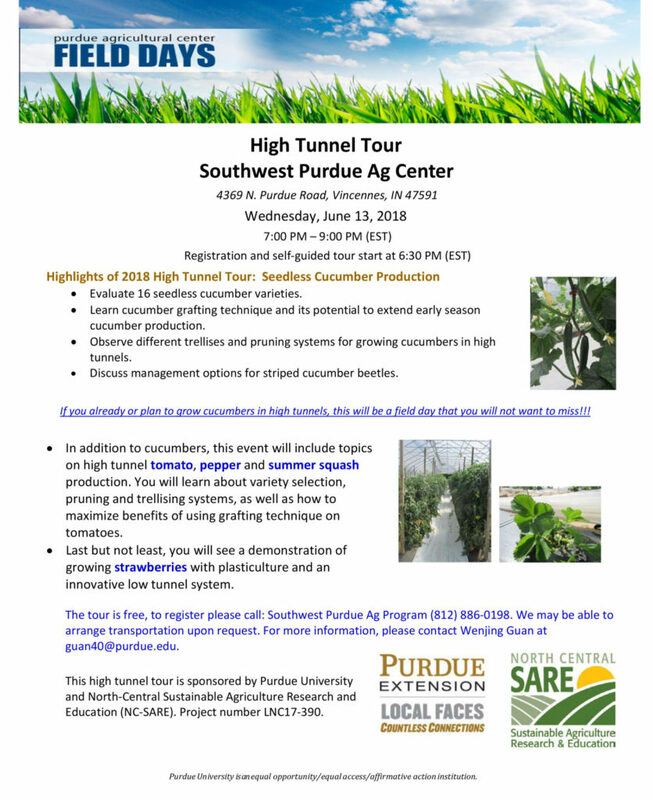 The tour is free; to register please call (812) 886-0198. For more information please contact Wenjing Guan (guan40@purdue.edu). This event is sponsored by North-Central Sustainable Agriculture Research and Education.